Most of us have our own ideas about what the ideal bathroom should be like. It makes choosing and buying a new one an exciting experience, but an efficient bathroom is a complex piece of engineering. That means it is important to get everything right first time, from the shape and position of your bathroom to the correct shower pump, from the right taps and fittings to a towel warmer that's the best size for the room. 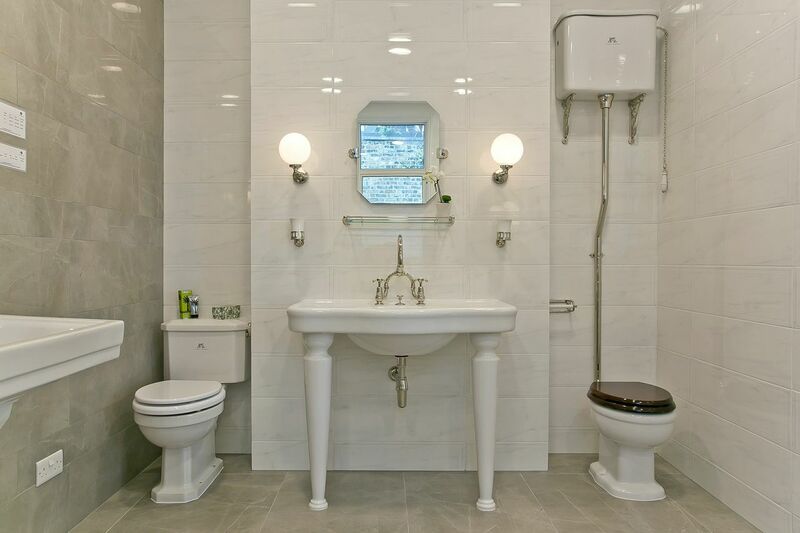 Once you've decided you'd like our help designing and creating your new bathroom, one of our advisors will visit you at home to discuss in greater detail what exactly you want. We then take exact measurements of your room, whilst making sketches taking care that you get the right fittings for your plumbing and heating system. Also, at this stage, we will provide you with a range of catalogues featuring the sorts of products you might be interested in. When you know which fittings you want we'll produce a set of computer generated images showing what your bathroom will look like, including tiles (provided by others if you wish) and lighting. At this stage, once the design has been agreed or amended, we will be in a position to give you the exact cost of your bathroom. This service is all Free of Charge. Go to useful links to see some of our design partners websites.